Discussion in 'D.I.Y.' started by barney, Apr 22, 2018. I stopped at a YUGE yard sale yesterday morning to look around. I managed to poke around the mountains of clothes, and dishes to find the tool section tucked back under a tree. The people had a bunch of newer junk yard tools, but mingled in with that mess of handles were a few vintage gems! The square point shovel is an old split socket with a solid handle in perfect condition. It's exceeding rare to even find one with a handle now, let alone one in this shape! $5. The round point shovel is a True Temper Bantam light weight, with a solid shank, and dates to at least to the 50's. $5. Laying in the pile of tools was a small rusty axe with a rotten handle. 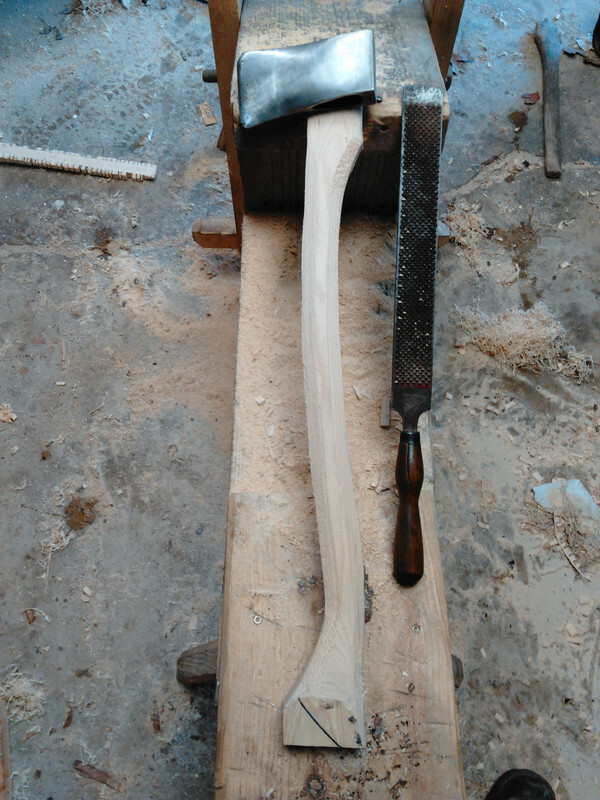 An axe that size (2 1/4 - 2 1/2 lb.) is commonly called a boy's axe. I picked it up and through the layer of rust and pitting I could make out a faint makers stamp, "Plumb" it was, and an older one at that. The axe was a pre permabond model, and also dates to the 50's or even earlier. I gave $3 for it. 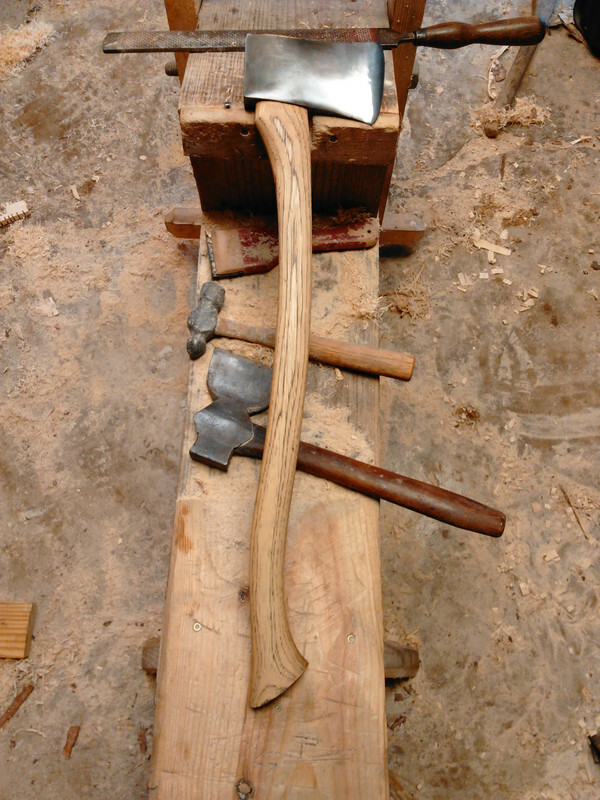 Early this morning I began working on the little axe head. 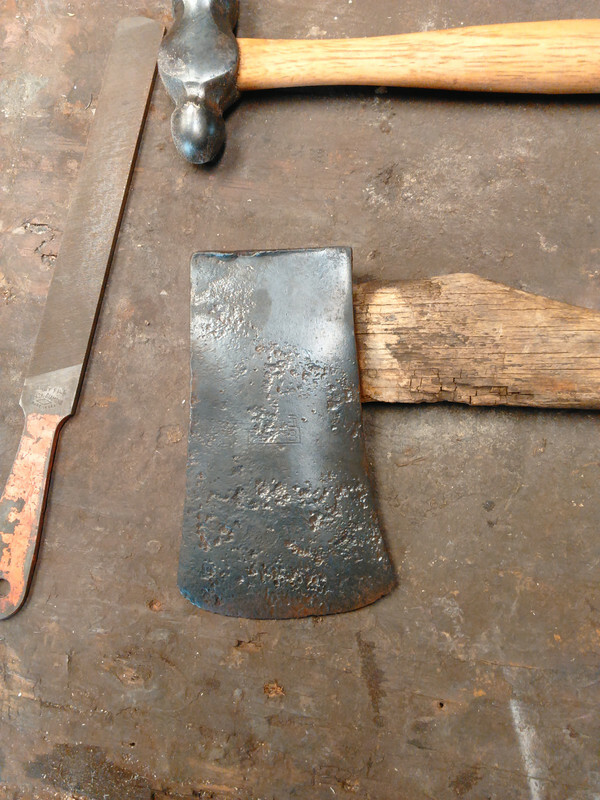 Rotten handle, and severely pitted surface, but the makers stamp, and quality steel was there. 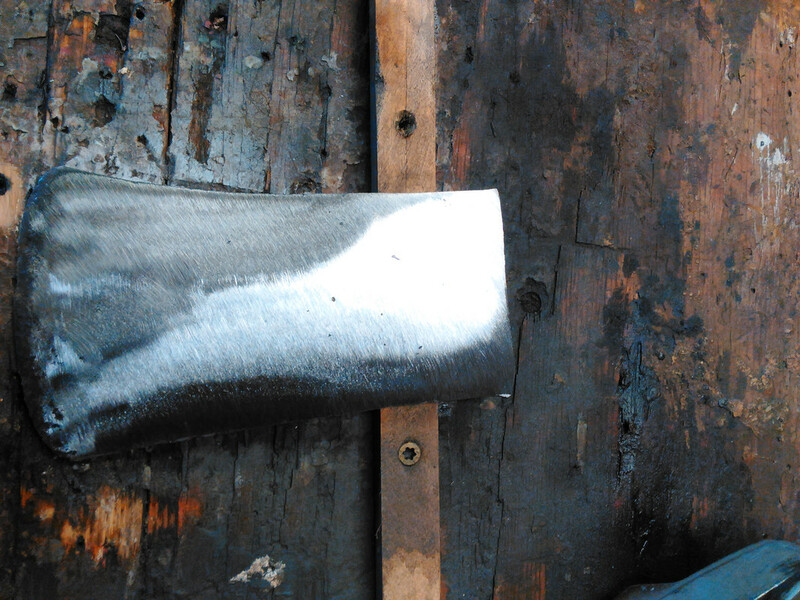 I started by removing the pitting and mushroomed poll with a coarse grinding wheel. 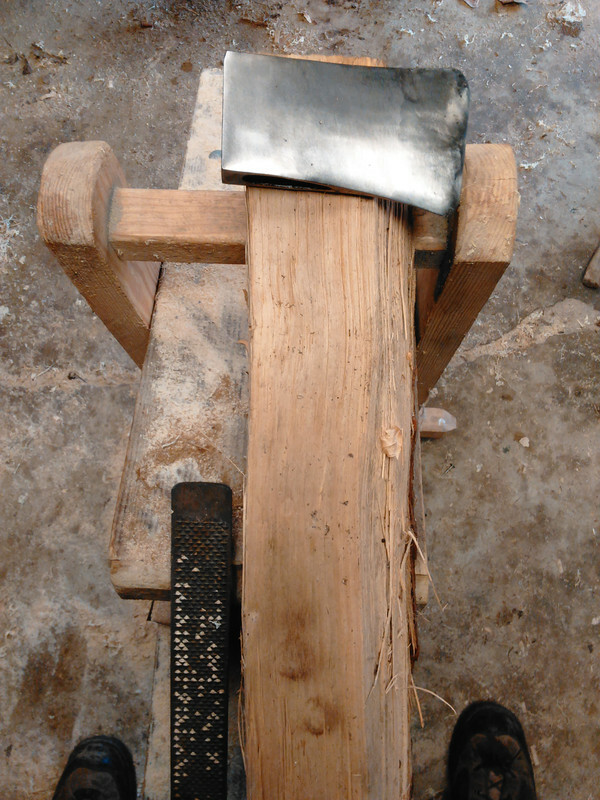 Then I removed the grinding marks with flap discs, using finer grit discs with each successive pass, and also using a wet rag as a heat sink to keep from harming the tempering of the bit. 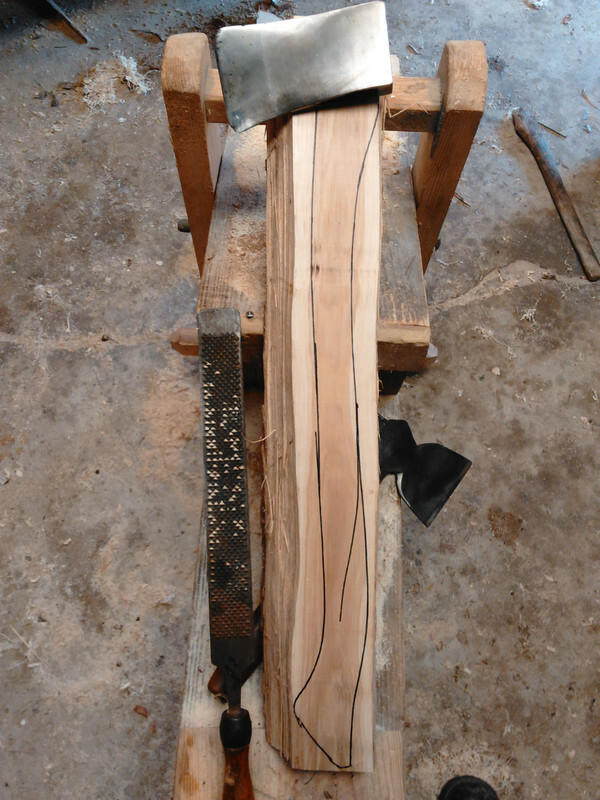 A hickory stave I rove from a shagbark hickory just for axe handle stock a few years ago. It's going to be time consuming removing all of that seasoned hickory from around the axe handle hidden inside that stave! 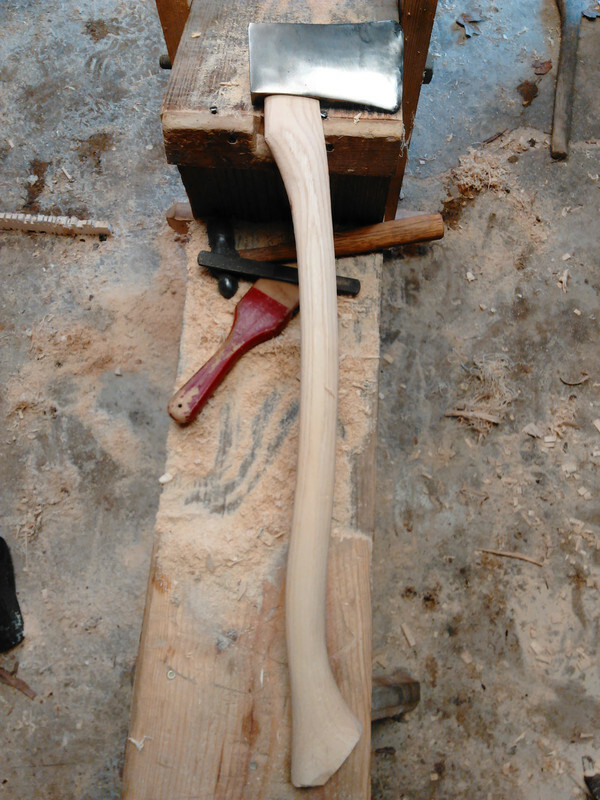 I traced an outline from a favorite handle onto the stave. Time to get to work! I had to make it sharp after it was hung. 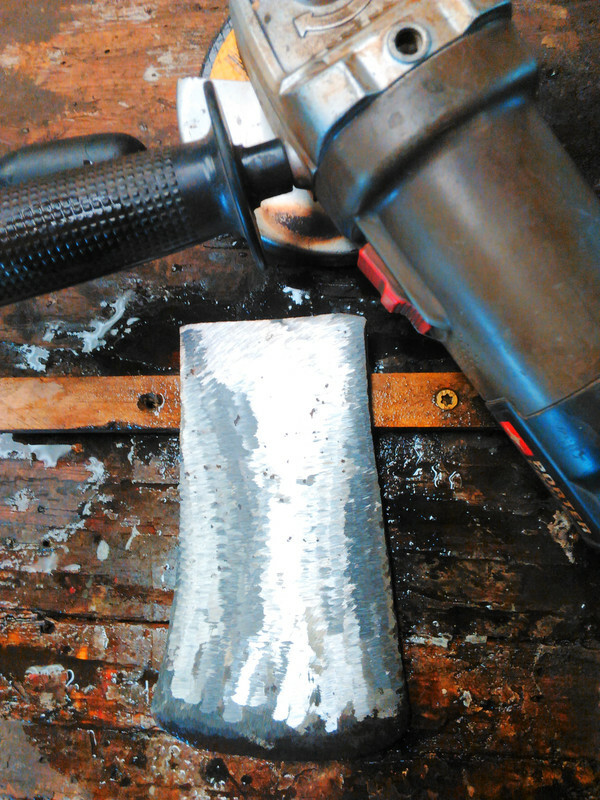 Yes, that old steel gets REALLY sharp and stays sharp! goo06, east_ky_hunter, Drahts and 14 others like this. It would last my grandson's lifetime if he takes care of it. I know when I was a kid I was really bad about leaving good tools in the woods, or forgetting where I left them. I'm teaching my bunch just how valuable good vintage stuff is, and the really sweet things can't be bought anymore. Dang barney that thing is nice. I know you out heart and soul into that thing. 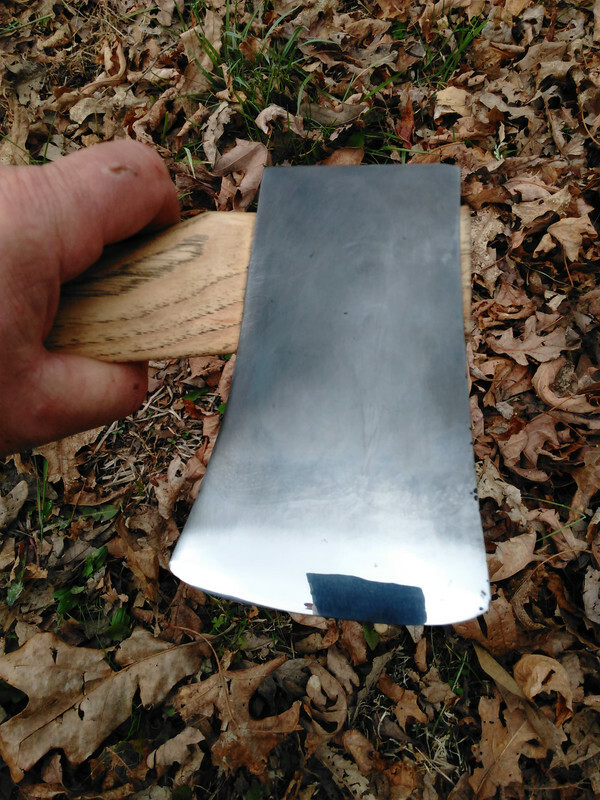 The riven, air-dried hickory is all but unbreakable, and vintage steel that doesn't have soup cans, and Toyota's in it.. a lifetime tool if it's kept dry, and cared for. bondhu and barney like this. It's worth a fortune in the right hands. Being able to recognize the good stuff is a real asset when it comes to tools, and having the ability to refurbish them like you have is something i doubt many folks have any more. Excellent in all respects. 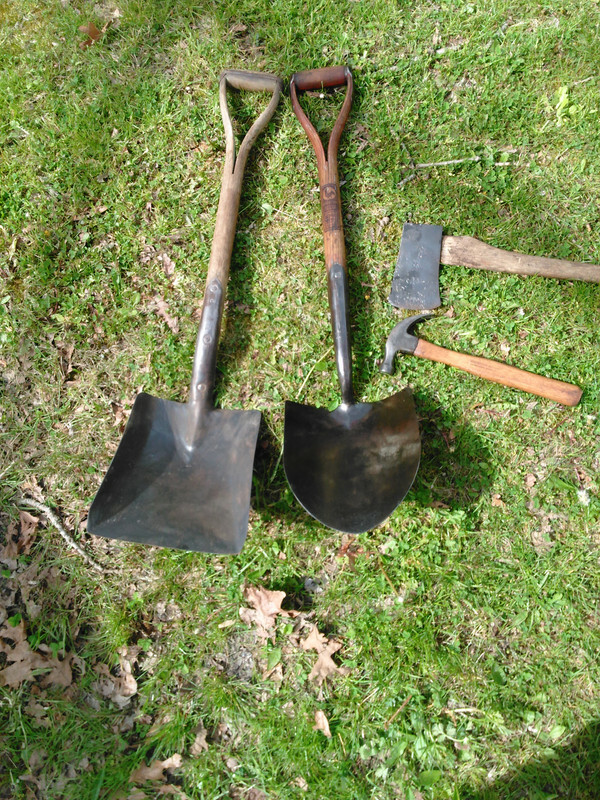 I have several shovels with the old split wooden handles that were my fathers. They are tough as ever (like he was) and likely from 30s or 40s. Most people rarely use a shovel these days, and when they do a cheap one usually works just fine for them. 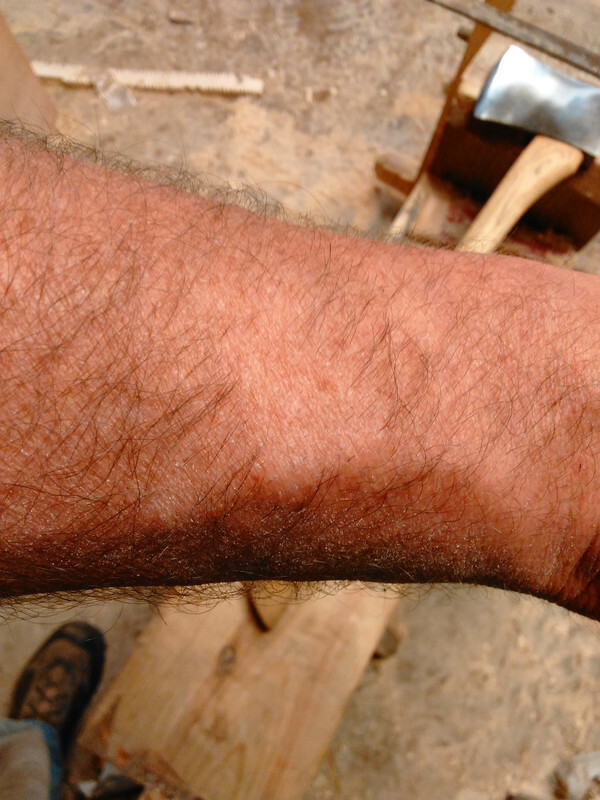 If they had to use a shovel for extended periods like I have in my life, they would really appreciate solid sockets, straps, turned steps, and solid forged heads that are tempered well. The difference is night and day. My talent evolved over the years from being frugal and conservative, but having a taste for the finer things in life. Carl, bondhu, Dark Cloud and 1 other person like this.